English National Opera hosts a special gala performance in celebration of the life of a crucial figure in British opera. On 24 June 2014 English National Opera hosts Call Me George, a gala celebration of the life of Lord Harewood, in recognition of his incalculable contribution not only to the company but to British opera as a whole. George Lascelles, seventh Earl of Harewood and grandson of George V, was born in 1923. As a child he displayed a good ear for music and an insatiable interest in its facts and history (much to the bewilderment of his royal relatives, who thought him 'quite normal otherwise'), and a love of cricket and football. After serving in World War II, where he was imprisoned in Colditz, Harewood began writing opera criticism, and founded the periodical Opera in 1950. After writing a stern review of Kobbé's Guide to Opera Harewood was invited to edit the handbook, and his significantly revised 1954 edition became a bible for opera lovers. Harewood remained as editor and co-author of new editions of Kobbé for 30 years. Harewood joined the Royal Opera House as a director in 1951 and was an administrative assistant 1953–60, returning again as director 1969–72. Closely involved in casting, he was instrumental in engaging Maria Callas for her Covent Garden performances. He became close friends with Callas and many great musicians, including Benjamin Britten and Peter Pears. But it is his for his work at ENO that Harewood is best remembered. He became managing director of the then Sadler's Wells Opera in 1972, and campaigned for the company's name change, in recognition of its national significance. During his tenure he invited directors such as Nicholas Hytner and Jonathan Miller, encouraged singers such as Lesley Garrett and Willard White and forged great partnerships with conductors such as Charles Mackerras, with whom he campaigned for the revival of Janáček operas in the UK. 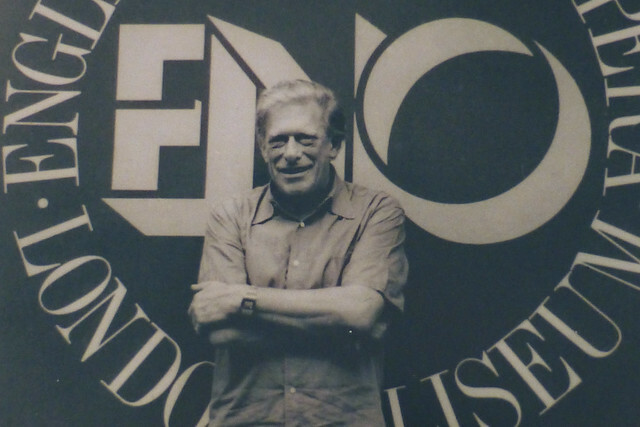 Harewood resigned as managing director of ENO in 1985 but stayed as chairman of the board until 1995. He was president of the company until his death in 2011. Among his many other roles he was artistic director of Edinburgh Festival 1961–5, managing director of English National Opera North 1978–81 (where he supervised the foundation of a new centre in Leeds and worked towards its change to Opera North in 1981), governor of the BBC 1985–7, president of the British Board of Film Classification 1985–97 and president of the English Football Association 1963–72 (during which time England won the 1966 World Cup). The proceeds from ENO's celebratory gala will go to the ENO Harewood Artists programme, launched in 1998 in order to enable UK-trained young singers to sing in a world-class opera company. Find out more about the Call Me George gala celebration and book tickets.